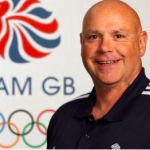 High Performance and Clinical Director with over 30 years experience in professional and Olympic sport, as an athlete, coach, scientist, sports medicine professional and performance director. I have led teams at four Olympic Games and worked extensively in professional sports including eight years in professional football where I was a recipient of the FIFA Fair Play Award. I have presented at conferences worldwide on the subject of performance planning and I am a visiting lecturer at leading UK Universities on training philosophy. I have led sporting teams in competition and training camps throughout the world promoting a model of integration of multi-disciplinary teams into the high-performance process that has been adopted widely. To contact please enter your information below and click send, or use the contact details in the profile.